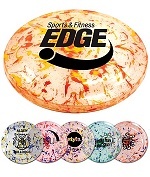 Print Frisbees with your custom message. 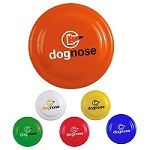 Wholesale Frisbees at low prices. 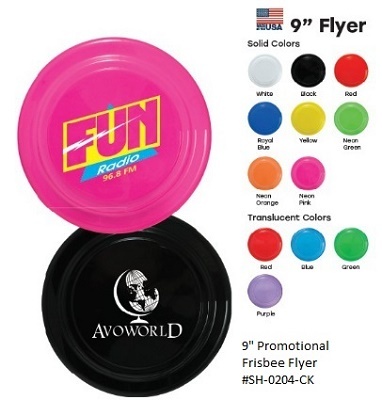 Promotional Frisbees are fun for everyone! 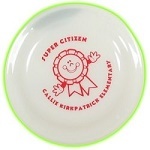 These flying saucer discs or frisbees are a great gift for many events including company picnics and Vacation Bible School! 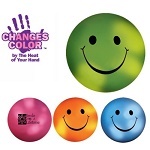 They are also great for restaurants and delis or outdoor events for reinforcing paper plates and giving away to take home. See our Special Low Prices. 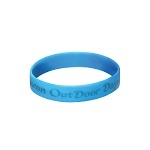 Add an additional $25 for logos and other complex artwork. CPSIA & Prop 65 compliant. Meets FDA requirements. Made in the USA. 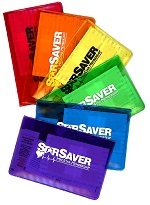 Production Time: Production time is 5-7 working days after proof approval on all orders of 2,000 pieces/passes or less.